Sometimes, opportunities for writers appear like a bolt out of the blue. A qualified writing mentor walks into your life at exactly the right time. Or you discover a brochure for a writing conference—and it’s conveniently located in the next town. Or you stumble upon a listing posted by an editor looking for exactly the type of work you’re ready to submit. Although great opportunities might seem like a stroke of luck, Writer’s Relief has investigated this coincidence and discovered that being in the right place at the right time happens less because of chance and more because of preparation. If you could use a little more serendipity in your writing life, it may be time to start actively creating new opportunities for yourself as a writer. Today, we’ll explore the mindset you’ll need to welcome new opportunities into your life and offer practical suggestions to help you grow your creative writing career. Making the most of your chances means knowing an opportunity when you see it and being prepared so you can take confident, immediate action. 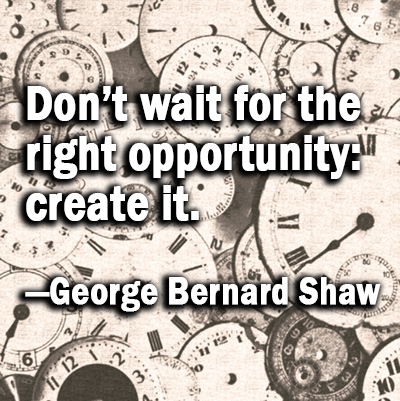 How do you know if you as a writer are prepared to make the most of opportunity when it presents itself? Start by asking yourself these key questions. Am I willing to take risks and get out of my comfort zone? Often, opportunity demands that we challenge ourselves to reach for things that seem to be just beyond our grasp. And taking risks is sometimes scary. 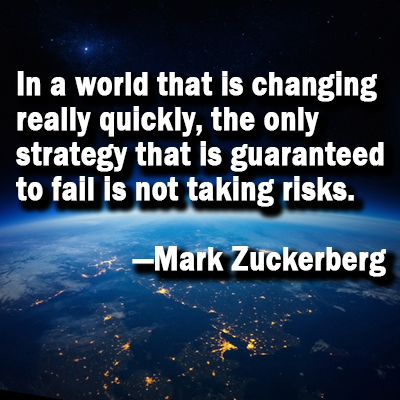 What risks are you afraid to take in the name of creating opportunity? Do you get nervous mingling with strangers at professional networking events? If so, nerves might be keeping you from making a meaningful career connection. Are you holding something back from your creative writing for fear that others may not support your authentic voice? You may discover that doors begin to open when you begin to speak your truth. 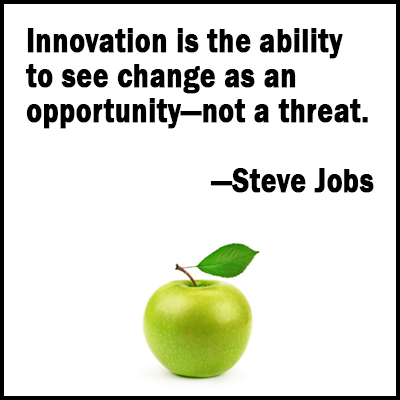 A willingness to adventure outside the confines of your comfort zone is key to creating opportunity. Do I have a positive attitude? A negative attitude focuses on problems, rejections, and barriers. 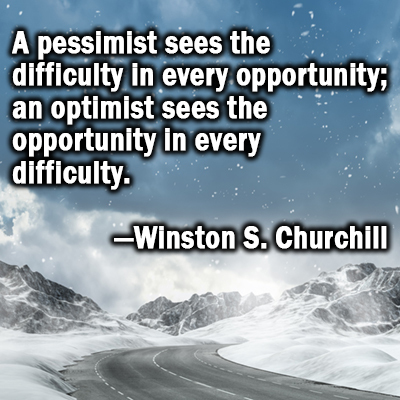 A positive, optimistic attitude will help you see beyond challenges to the opportunities. Do I carry a notebook? Are you letting your best ideas slip through your fingers because you are neglecting to write them down? Writers who assume “I’ll remember that later” usually don’t. Check out these modern ways to turn your great ideas into opportunities. Have I attended writing conferences? At a writing conference, you’ll meet people you didn’t expect to meet, people who could turn out to be helpful guides. But you’ve got to be there to make these opportunities yours! Find a great list of writing conferences here. Am I submitting my writing like a professional? Writers who are dedicated to their craft must also be dedicated to their submission process if they want to seize opportunities. And that means researching literary markets, making submissions on a regular schedule, and keeping track of responses from literary agents and editors. 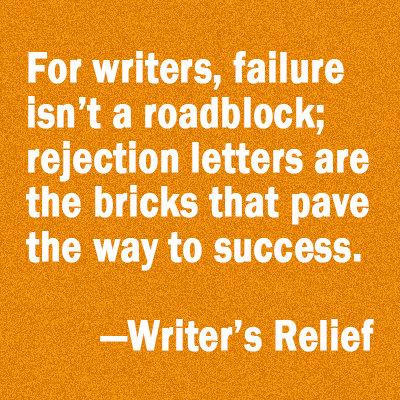 If you’ve ever wished someone could help you streamline your submission process—or even make submissions for you—reach out to the team here at Writer’s Relief! Am I actively learning new things? When you are learning, you are growing your opportunities. And just a little bit of growth every day adds up to a lot of new opportunities over time. Try something out of the ordinary. Take a class on a subject outside your wheelhouse. Read a book you wouldn’t normally pick up. You may be surprised by the unexpected opportunities you’ll discover. Am I open to change? Complacency is the enemy of opportunity. When the elements that comprise your writing career—from your manuscripts to your networking groups—begin to feel overly comfortable and familiar, you may be inadvertently limiting your opportunities. By changing things up on occasion, you’ll traverse new paths and discover new possibilities. Am I energetically committed to the work of writing? Your writing is the obvious foundation of your entire writing career. When you are both inwardly and outwardly enthusiastic about the written word, others may be inclined to offer you suggestions and opportunities that they may not have otherwise. Also, when your confidence flags (as it inevitably will) and you feel entirely abandoned and alone, a positive relationship with the writing process will see you through tough times. Like all foundations that support great structures, passion sometimes requires regular maintenance. Learn more about how to rekindle your writing flame. 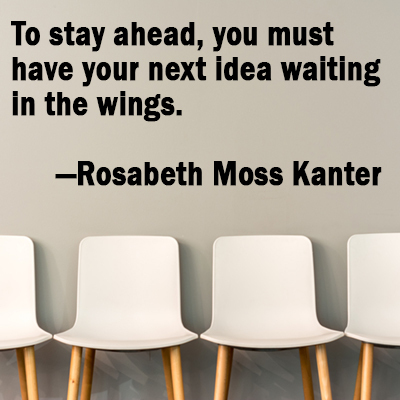 As you know, your writing gets better—stronger—when you sit still and work at it. But your writing career advances when you get out into the world and start moving among the ranks of other writers, editors, agents, and publishers. Here are some things you can do immediately to create advancement opportunities in your writing career. Read up about the publishing industry. When you understand the topography of the field, you can better plan strategic maneuvers—and take advantage of opportunities. Join a writing group. Workshopping your creative writing with like-minded writers is not only a great opportunity to better understand your craft—it also puts you in the valuable position of being able to listen. When others share their experiences, you learn. Find a list of writing organizations right here. Attend open mic nights. Putting yourself in front of a crowd to read your creative writing maximizes your opportunity for outreach; you never know who is listening. Make new connections via social media. Productive partnerships can be formed online. Join an online writing group, jump into a writer chat room, or chime in on a conversation under a writer hashtag. From there, you’ll be able to pick up tidbits about industry etiquette, the latest trends, writing career strategies, and publishing opportunities. Be a fan. Reach out to authors you love. Follow them on social media and comment frequently on their posts. You may be surprised to discover that some famous authors forge real relationships with their fans—relationships which could create mutually beneficial opportunities later on. Leave your writer’s business card. Your town’s community message boards offer free and easy opportunities to make new connections. Find community boards at your local post office, supermarkets, houses of worship, colleges, libraries, and more. Create a great writer business card and tack it up where it can be easily seen. You never know who might notice it! Here’s how to create a writer business card that can actively grow new opportunities. 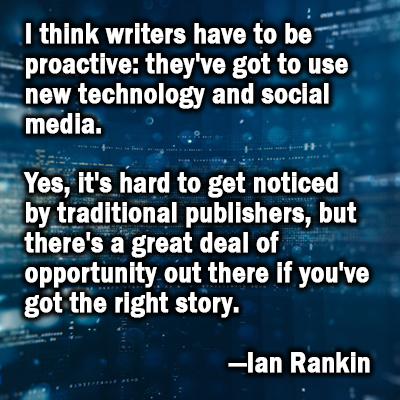 I think writers have to be proactive: they’ve got to use new technology and social media. Do some literary speed dating. Many writing conferences offer speed dating opportunities for writers. Even if you don’t expect to initiate a partnership with an agent who is available for speed dating, take the opportunity to practice pitching your story and ask for honest feedback. Here’s where you can find a great list of writing conferences, retreats, and fellowship opportunities. Ask questions—even if you’re not actually interested. Asking questions—a lot of questions—about something you love is an obvious way to learn more about ways to create inroads to success. However, when you ask curious questions about things beyond the scope of your intentions, you may discover buried treasure that would otherwise have remained obscured. Say “I don’t know.” While “fake it till you make it” may be good advice in certain situations, there is more to be learned by saying “I don’t know” than by mutely nodding along. Three additional powerful words? Tell me more. Chat up a stranger. You may be used to chatting about your book with people in your critique group or launching into your elevator pitch at writing conferences, but don’t discount “book talk” with other people you randomly meet. You never know who has a skill, a need, or a contact to further your writing career. Submit your work for publication. When you submit a poem, story, or personal essay to a literary journal, your number one goal is to have that work published. But getting your work published is only one of the MANY career-building benefits that can happen when you submit your writing to a literary magazine. See how literary magazine publications create countless surprising opportunities for writers. Need help submitting your work? Writers who regularly submit poems, short stories, and essays dramatically increase their odds of acceptance! In other words, the more you submit, the more you maximize your potential for creating opportunities—and getting published. Learn more. Share your writing [selectively] with others, just for fun. 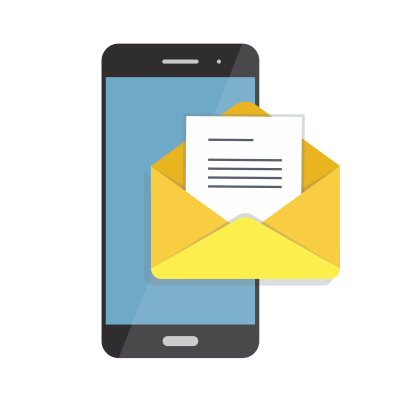 Email your contact list a heartfelt essay or a new poem, and consider asking them to take action on your behalf. They can read and offer feedback. They can forward your work to a potential new connection. Just keep in mind that sharing your writing could result in its being considered previously published. Volunteer in a literary capacity. You’ll get your name out there, meet more people, and reap the rewards of feeling great about doing something good. You can also offer to read (maybe YOUR book) to children at the library, or organize an event where kids read to shelter dogs. Share your writing skills. Sometimes, others might benefit from your writing abilities. You can offer to write a press release for a local fund-raiser, write a grant proposal for a nonprofit, or even write a speech for someone with an upcoming speaking engagement. Guest blog. Approach a blogger about hosting a guest post from you; or offer a blog post swap. Mutual opportunities abound! Learn more: 8 Tactics For Guest Blogging. Showcase your writing in other venues. Write book reviews on Goodreads, Yelp reviews, reviews of products, restaurants, and services, or letters to the editor. Use your real name and make sure your letters are well-informed and your reviews are memorable—humor is especially appreciated. Who knows, you may land a job as a critic! Keep your writing career in mind—all the time. 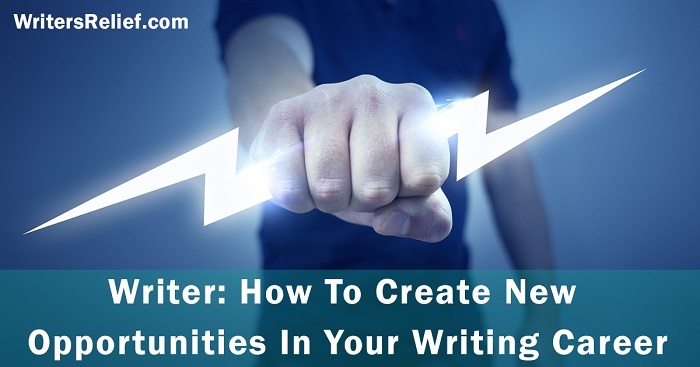 Whether you’re standing on the soccer field watching your kiddo run or standing in line at the grocery store looking at magazine covers, always think about whether your current situation offers any opportunities for your writing career. 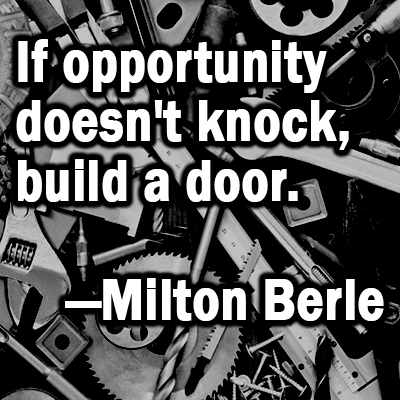 In other words, actively search for opportunity in everything you do. When you search for hidden treasure, you’re more inclined to find it. When your day job keeps you immersed in the world of the written word, you may be able to maximize your opportunities within the publishing industry as a creative writer. Here are some day job ideas for creative writers that can create new opportunities for creative people well beyond the confines of 9 to 5! And even if your job doesn’t directly land you an opportunity to improve your writing career through networking prospects, you may find that the blessing of being able to stay inspired by working in a field you love is worth its weight in gold. Some opportunities don’t pay much money (or any money), but they are priceless when it comes to building your writing career. If you have a little free time, here are a few opportunities for learning, networking, and career-building! Create/edit your own literary journal. Volunteer to read submissions at a literary journal or even a literary/film agency. Apply for publishing industry internships. Sign up to participate in free ESL assistance programs (often at local libraries). Organize a local open mic night or other literary event. Run for office in your local writing group (president, treasurer, etc.). Pitch a seminar to a writing conference and show off your expertise. Host a creative writing club (if you’re affiliated with a school). 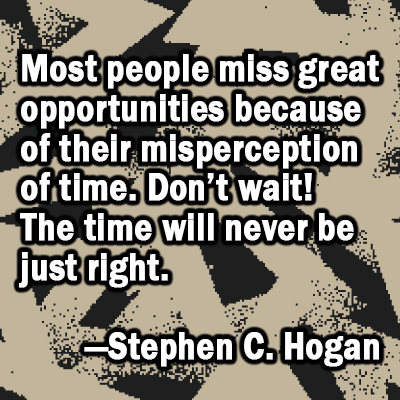 Most people miss great opportunities because of their misperception of time. Could you be missing opportunities because you are too focused on finding the perfect one? Consider a great blue heron standing at the edge of the river, watching for lunch to swim by. A heron that waits for “the big one” to float past might go home with a growling tummy. But the bird that’s willing to spear smaller opportunities will go to bed on a full stomach. I’m not going to sign up for a writing conference until I know I’m going to be able to get my money out of it by setting up a table for book sales. I’m not going to join a writing group because the ones in my area don’t give me the warm fuzzies. I’m not going to develop a workable submission strategy for my short stories and poems until next spring, when I hope my personal life will be a little less crazy. The best opportunities are rarely perfect opportunities. But the best entrepreneurs regularly take advantage of imperfection. 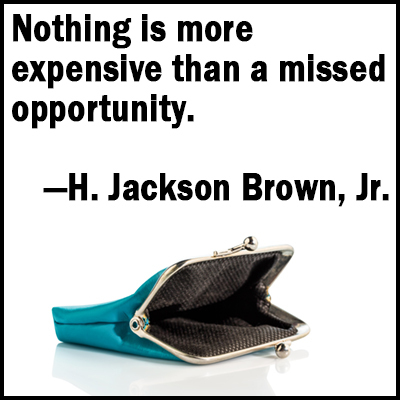 Nothing is more expensive than a missed opportunity.—H. Jackson Brown, Jr.
Also, your enthusiasm for a given opportunity may fade as time goes by. 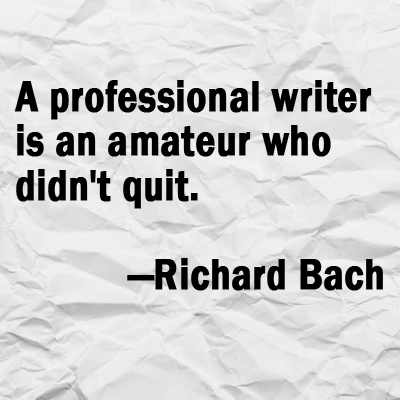 And it is always your passion, enthusiasm, and drive that fires your writing career. Seizing an opportunity when you feel most passionate about it—usually the moment you sense the first spark of an idea—is the best way to ensure your passion performs just like concentrated jet fuel. 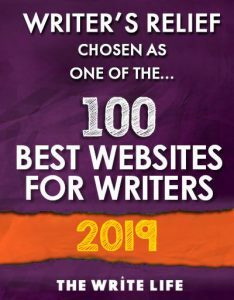 We couldn’t write an article about opportunities for writers without taking a moment to examine the most important opportunity in a creative writer’s life. Have you guessed it? There’s often no better teacher or motivator than failure—if you approach it with the right attitude. Writers who can repurpose negative ideas about failure and turn them into positive motivators tend to have the staying power to take their careers to the highest levels. That you can’t let other people’s opinions define your idea of success. To continue writing—writing, writing, writing. No matter what, there’s always that pleasure to keep you going. To become a better writer using editorial feedback from trusted advisors and by interpreting rejection letters. To be more and do more. To depersonalize the submission process: You learn to approach submissions with professional detachment. To dust yourself off and try again, even if you don’t really want to. More about who you are and what you are capable of. To refine your ambitions. What do you really, really want? What are you willing to withstand in order to get it? 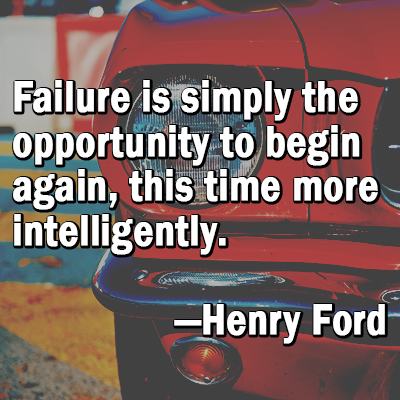 What Is The Secret To Turning Failure Into Opportunity? First, a positive attitude. Optimism ensures that your eyes are open to seeing the opportunities in front of you as potential career wins, as opposed to immediately writing them off as dead ends. If you would like to learn more about how to cultivate a lasting positive attitude that will carry you through the ups and downs of your writing career, check out our e-book: The Happy Writer. Second, self-esteem and confidence. 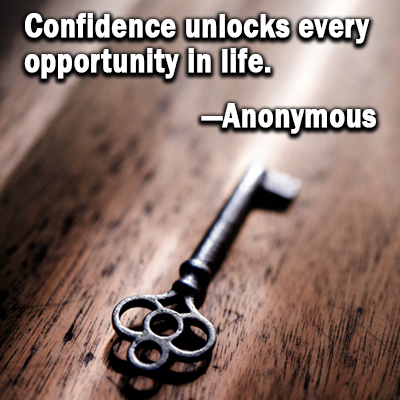 When you are confident in the strength of your writing, you will be more likely to go out and take risks. If you feel like your confidence isn’t the unshakable foundation you hope it could be, check out Our Seven-Day Plan To Make You A More Confident Writer. Can you help our readers by answering this question? 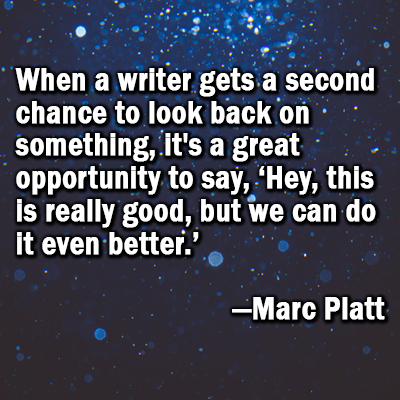 What do you think is the number one thing a writer can do to create opportunities in his or her writing career? Please leave your answer for others to read in our comments section!